Bindumart is one of the largest Online Shop in Bangladesh Where you can buy lots of item including watch, gents clothing, ladies clothing like salwar kameez, smartphone, smartwatch, spectacle,Xiaomi power bank, ladies watches, backpack, cctv camera, vehicle tracking device and many more cool items. Here item is sold by our trusted merchant and also sold by Bindumart we have better buyer protection.So Bindumart is a place where you can trust and easily start shopping online in bd with home delivery.Bindumart is one of most trusted online shop in Bangladesh where you can trust and depend. 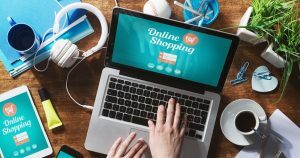 Online shop is a virtual market space or marketplace where a buyer place order online from website and the item is delivered in buyer’s specified address. Bindumart is one of the most trusted online shop in bd where we have nice and easy return policy. we have dedicated customer service team.We delivery items 2 days in Dhaka and by 3 days in outside of Dhaka all over anywhere in Bangladesh. Bindumart offer most affordable prices on all products with warranty and guarantee on each products.There are lots of online shop in bd they are not trusted and they do not have any after sales service.Even they do not care customers after selling their products. So we suggest customers that please beware from fraud online shop.